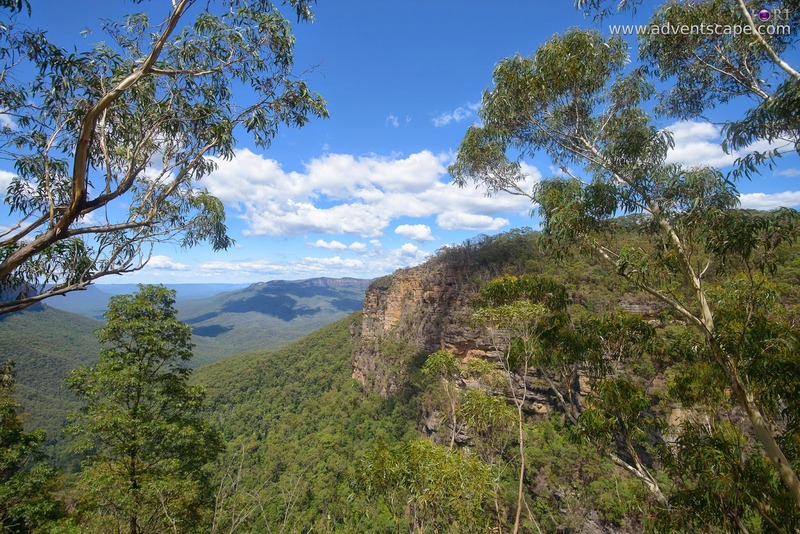 Last Saturday we went to Katoomba, Blue Mountains to do the famous Wentworth Falls walk. We modified the walk. We started at Wentworth Falls Picnic Area going to Conservation Hut (3 hours). This is not a circuit, or a loop. Thus you need two cars at both endpoints to manuever around. But in the last 10 minutes before arriving at the Conservation Hut, we decided to take the other fork on the road to do the Overcliff Track (30 minutes). Taking the Overcliff Track made our walk a circuit – a loop. We started at 7:40am and ended 12:40pm. We’re walking for 5 hours. It's not bad as we have plenty of rest and enough time to take photos and fly a drone. 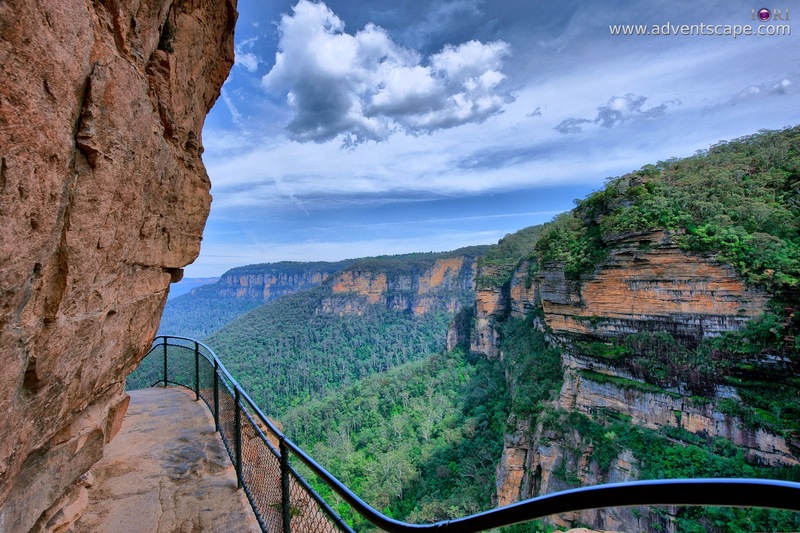 All the attractions above are from Wentworth Falls Picnic Area to Convervation Hut walk. Note that ‘Valley of Waters’ is not included as we did not go down and walk there. 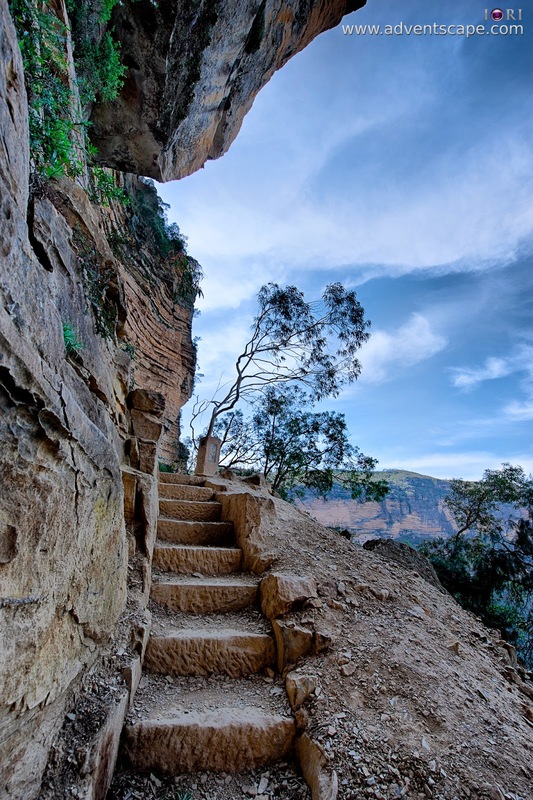 * The last two attractions are those we saw at Overcliff Track. 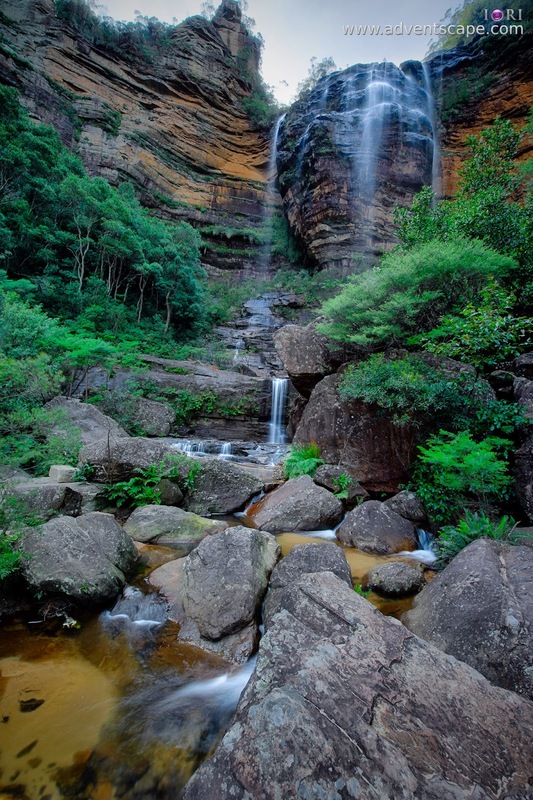 For more information please visit the Wild Walks website for Wentworth Falls. I've done this track some years ago now. This would probably be my forth. The first time I did was rainy and foggy. We were wet and exhausted. The track beyond Sylvia waterfalls (from Conservation Hut) was sealed off. The second time I did this was with a similar group of friends. We started at Conservation Hut towards Wentworth Falls Picnic Area. But since the Overcliff track was sealed off, we had one of our cars parked at the other end so one can fetch the other. The third time that I walked was with a friend who loves bush walking. Since we’re a small group, I had the luxury of taking my shots as long as I want. There was no rush so I took the best photos I can that time. So why go the fourth time? I have a drone. This made all the difference! I'm not that experienced yet at flying the drone in Atti (semi-manual) or Manual mode. So I had a hard time flying it away from the tree branch. Luckily, it never did. But the videos I got are spectacular! I’d do another walk again if I have a chance. There is nothing amazing than getting an aerial video of Wentworth Falls. The key goal here is to travel light, travel comfortably and travel with food. You can bring a small camera so it doesn't add much weight. Clothes can be planned the night before. Food can be bought before you go to the walk. So it’s best to be prepared. The Conservation Hut have food, drinks, coffee and others, but you should be at that end of the track to get it. The don't start very early in the morning as well. Fitness should also be checked. If you don't do bush walking before, I'd suggest doing a lighter and shorter track. The descent (or climb) at Grand Stairway is a challenge on itself. Climbing from Sylvia Falls to the Empress falls up to Conservation Hut is long and hard. 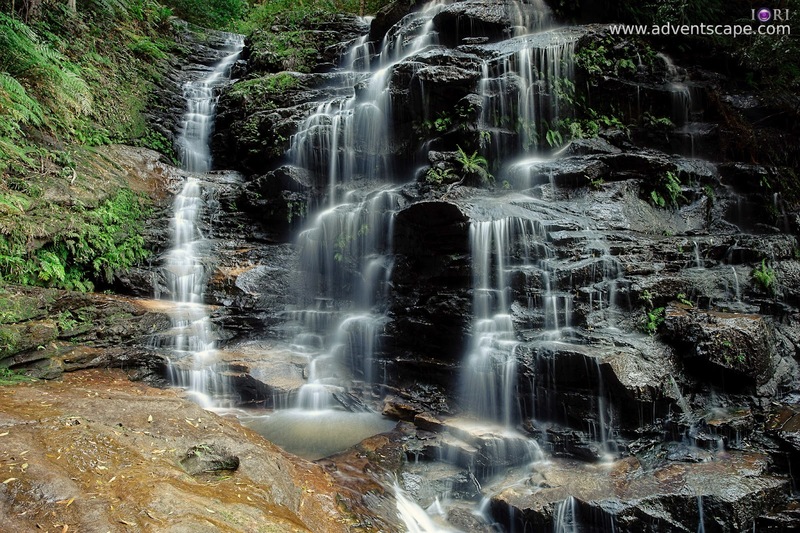 The easiest part of the track is from the base of Wentworth Falls to the base of Sylvia Falls. I was struggling the first time I came here. I was last in line. The second and third time I was here, it's not as bad, but I'm still at the end of the line. The current one, 4th run, is the best time for me. I managed to walk through this track with ease. I wasn't too exhausted anyway since I did nature photography and aerial videos that gave me time to rest. We didn't go down to the Valley of Waters. We just passed it. But many say that it's beautiful and you'll hear water flowing around the area. If you're interested, the track to Valley of Waters maybe near National Pass. Just open your eyes as you'll see a sign telling you where the Valley of Waters is. The reason we started at the Picnic area is because it's easier to descent down the Grand Stairway than climbing up. This is the steepest route as you need to hold on the safety railings to pull yourself up. If you climb normally without pulling yourself, your legs will tire quickly. Go down in a slow pace because an abrupt descent will hurt the knees! The first big area you'll enjoy is Queen's Cascade. You'll see foot steps that allows you to cross the waters. 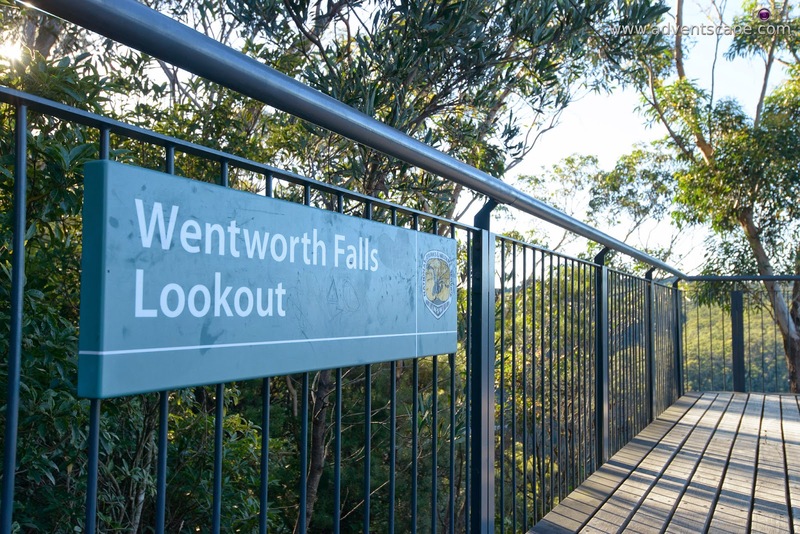 This area is actually the top of Wentworth Falls that you see at the lookout. If you continue further, you'll end up at the Grand Stairway. As I've said before, going through here is a challenge on itself. 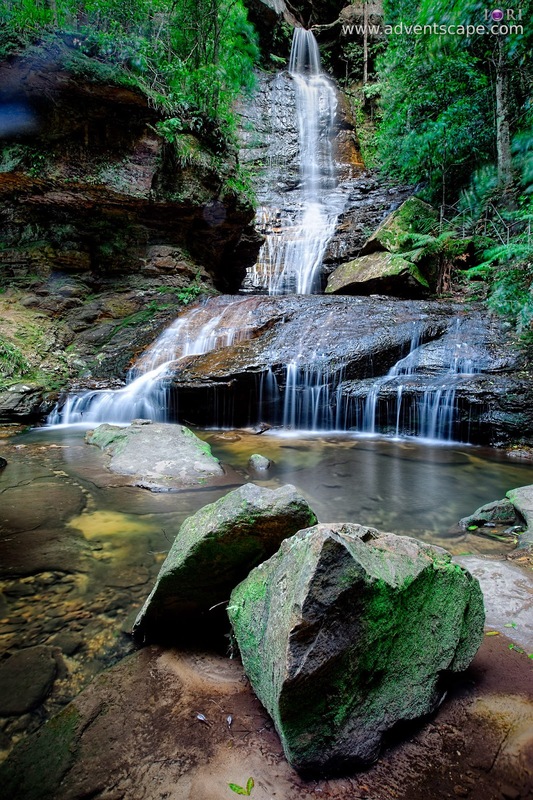 The best area is at the foot of Wentworth Falls. I've been here several times. It's magnificent and beautiful. I'm always mesmerised when I'm here and I always take the same photo with the same composition over and over again. Aside from the magnificent view, this area is wide and cool. The cool breeze may be attributed to the falling water from Wentworth Falls. All people that do this walk, stop relax, replenish and eat/drink - you should do the same. 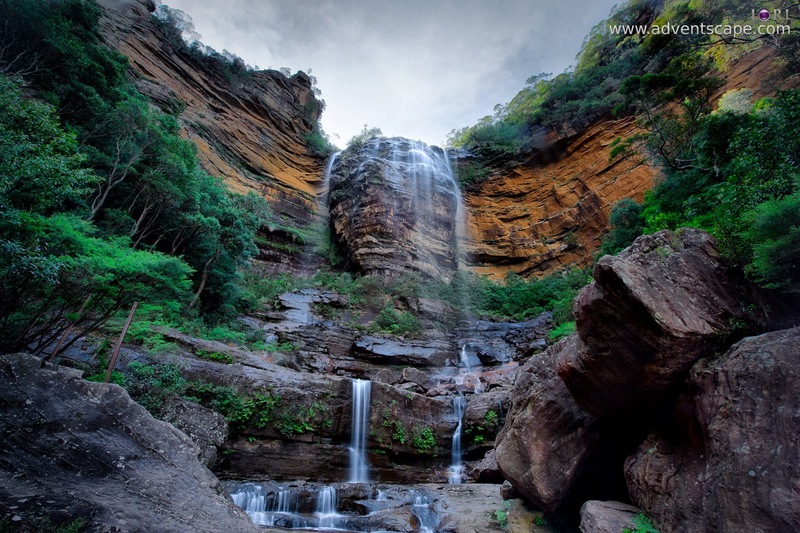 There will be a long walk from the base of Wentworth Falls to the base of Sylvia Falls. This trail is easy and mostly flat. Everyone can gain momentum to speed up the walk. Sylvia Falls and Empress Falls are close to each other. There are safety railing to prevent people from going beyond and walking too close to these falls. Remember, the water keeps the rocks slippery. Even if the rocks are dry doesn't mean that it's moss-free. If you can't keep yourself away and wanted to get closer, test the steps you'll be standing. Sylvia falls is a beautiful cascade. Empress Falls is a famous spot to do water rappelling. You can do many photos and poses on both these falls and I'm sure that this is one of the spots you'll stop by for awhile. If you continue going up passed Empress Falls, you'll end up at Conservation Hut. This is the end of the track. But in the last 10 minutes, we found a fork on the road. This is the start of Overcliff pass. If you chose the Overcliff Track, another 30 minutes walk, you'll end up at Picnic area again. This will make this walk a complete circuit (close loop). This is what we did. We didn't go to Conservation Hut, rather, took the Overcliff track. Aside from the pointers I gave above, here are some small tips and advice to keep you safe. There are many potential hazards in the forest. But if you observe some basic safety practices, you'll be fine. The most important tip might be: Enjoy! 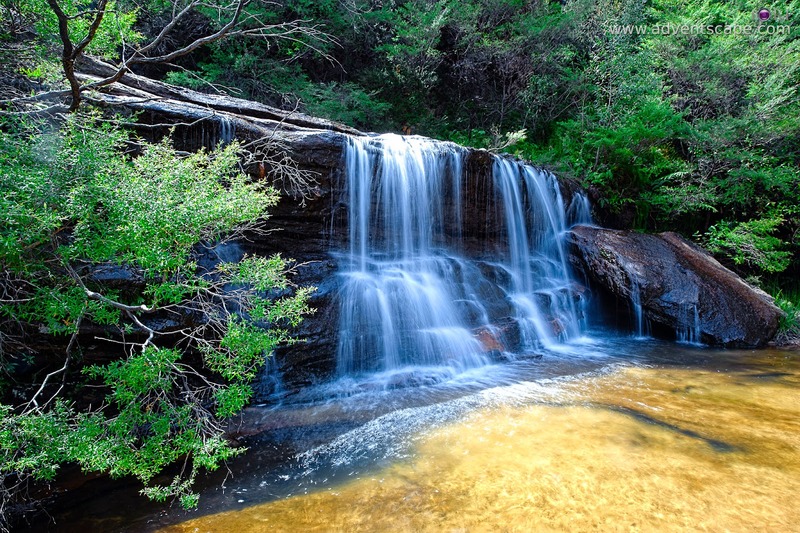 Wentworth Falls is a highly popular trail to walk and enjoy. It has a very high rating for both locals and foreign visitors. The trail is well maintained with proper signs in all forks. Though a certain level of fitness is needed, others can get away by bringing more food, walking slowly and resting frequently. The sky isn't yours. So use it effectively to maximise the range without breaking.